Paramount 16'' Surface Mount has a luxurious, restrained opulence of layered complexity that defines an era of modern deco and the glamorous presence of polished nickel, creating a glow and bold textural design that bring grandeur to your modern home or architected inspired space. 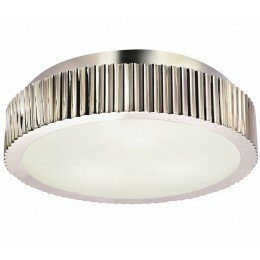 Featured in polished nickel and a metal shade with a white glass diffuser. 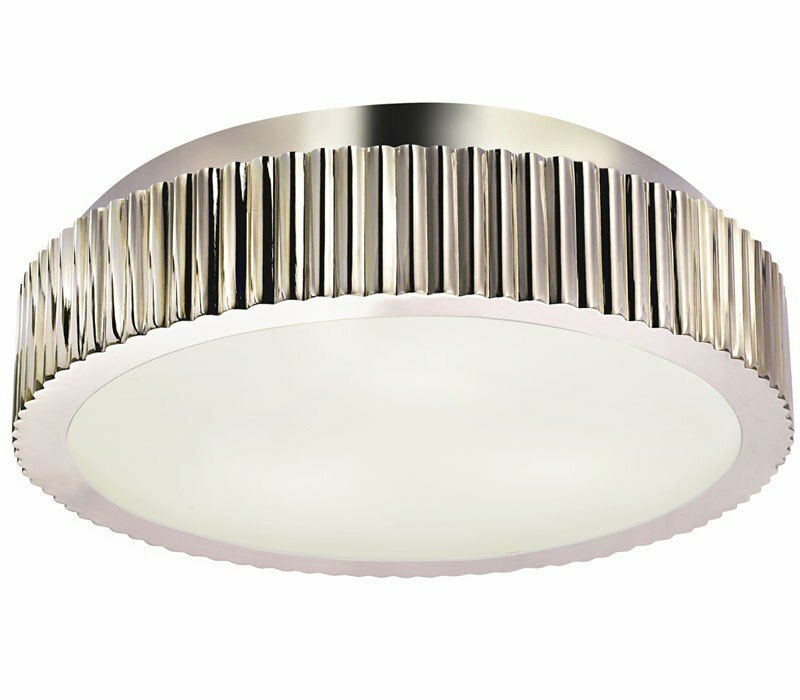 The Sonneman 4629.35 Paramount collection Close to Ceiling Lighting in Polished Nickel uses Incandescent light output and brings Modern style. This item is 5.5"H x 16.5"W. The wattage is 180. The Sonneman 4629.35 requires 3 bulbs (not included). Additional Information: Shade-White Glass.